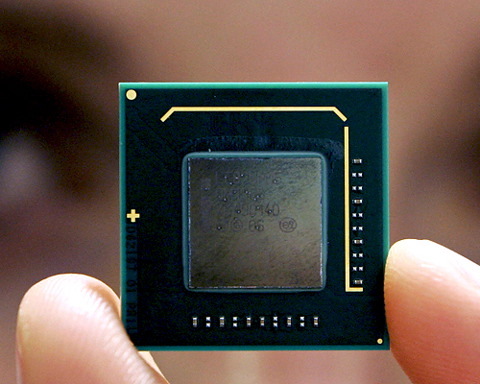 Acara Challenge 2011 – Results! 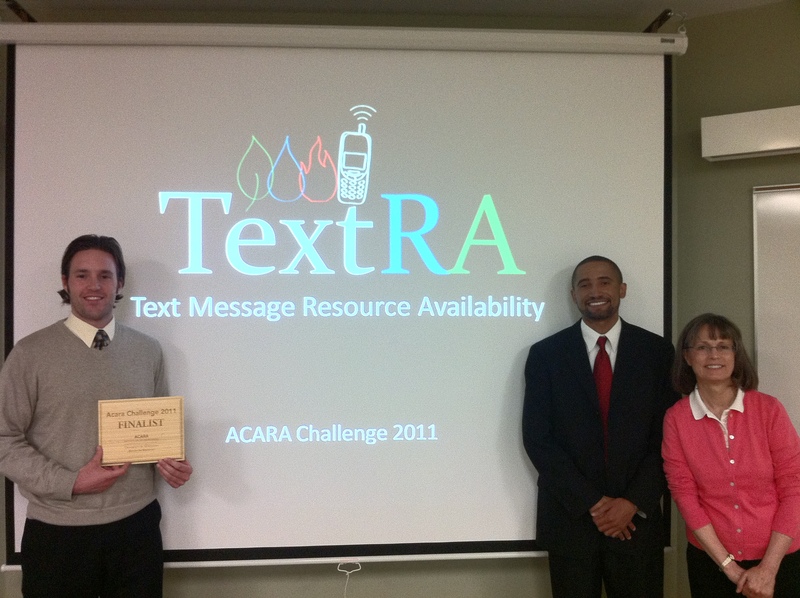 The Acara Challenge 2011 results are out! Four teams of student social entrepreneurs have been chosen to receive Acara scholarships of $5,000 and tuition for the Acara Summer Institute in India to advance their business: TextRA, Sewasan, Swach and Ankur Initiative. Over the last semester, as part of the Acara Challenge 2011, 21 teams involving about 175 students from 12 participating universities in the U.S., India and Mexico worked to develop business ideas to tackle global challenges of food and water security. For this they received a lot of support from their professors, industry mentors and international university partners. Of these 21 teams, eight were chosen to present at the Acara Challenge Finals this Monday, May 16, 2011 at the Institute on the Environment, University of Minnesota. At the Acara Challenge Finals, these eight teams pitched their business idea to a panel of judges composed of domain experts, investors, and business and nonprofit leaders. The judges then selected the teams to receive the Acara scholarships. While all eight teams have great ideas and potential to have a large impact, four teams were selected to receive a grant of $5,000 and tuition for the Acara Summer Institute, a business accelerator to be held in June-July 2011 in Bangalore, India. A partnership of the University of Minnesota and TERI, this team has developed TextRA, a network that will instantly deliver key information on food and water availability at various locations to the hands of malnourished and resource-deprived individuals, saving them precious time and energy. 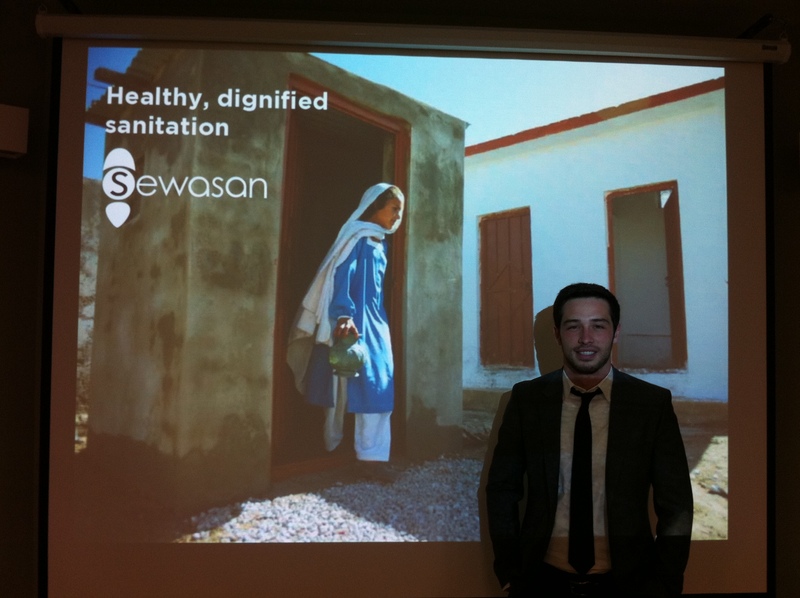 Sewasan, another UMN-TERI team, is a community-directed cooperative that will create and maintain toilet facilities in urban slums and charge residents to use them, either on a pay-per-use basis or through a monthly subscription fee. The presence of these facilities will decrease the spread of food- and water-borne illnesses, increase quality of life, and provide employment opportunities for local residents. Students at Cornell and the K.J. Somaiya Institute of Management in Mumbai created Swach to improve the efficiency and efficacy of the midday meal audit process in schools. Swach would provide testing kits and the communication infrastructure to test for food quality issues and report them to authorities, allowing time-strapped government auditors to focus where they are most needed. 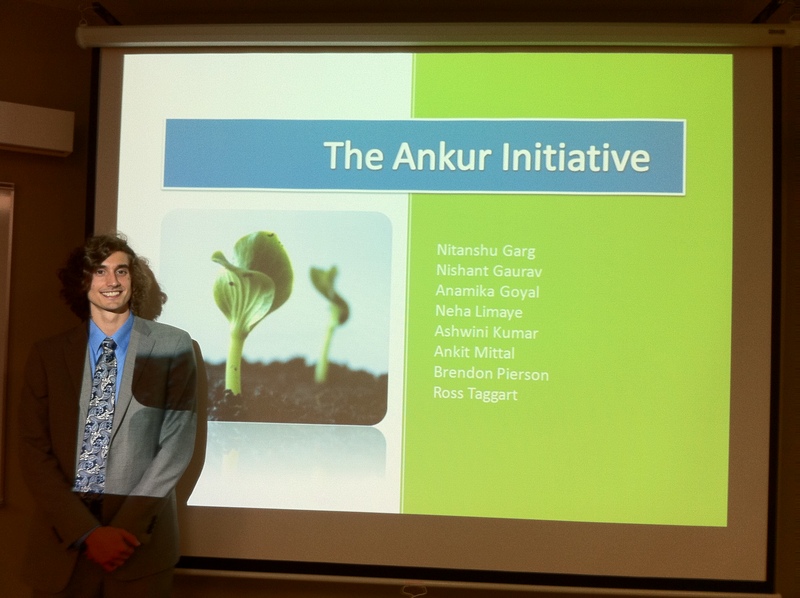 The Ankur Initiative, a collaborative effort between students at Duke and the India Institute of Technology (IIT) Roorkee, aims to combat water stress in parts of rural India by selling affordable polytunnels – lightweight plastic miniature greenhouses – to subsistence farmers in order to reduce water loss and increase crop yields. We wish the teams success with their ventures. To read more about the program and all the student plans, check out Acara’s website. Stay tuned for more about these teams’ progress at the Summer Institute and beyond! Yes, IT is on. And here’s the link to all events happening around and through the week. NextBillion did a post on GEW a few days ago and it reminds me of how entrepreneurship and sustainable development continue to dominate as topics of interest at universities around the world. Each November, the Global Entrepreneurship Week connects people everywhere through local, national and global activities designed to help them explore their potential as self-starters and innovators. Co-founded by the Ewing Marion Kauffman Foundation and Enterprise UK in 2008, GEW has become a quite popular series of events. So what does this mean for us? As a community of students, researchers, VCs and mentors including people from academia and industry, entrepreneurship is something we celebrate throughout the year – through the Acara Challenge and through our Sales for Social Impact program. Entrepreneurship is a part and parcel of our vision and nature. I want to use this opportunity to do a series on some important and difficult questions that we have been facing in our work of encouraging and supporting student entrepreneurship, both in developed and developing countries. Here’s the first question: How important do you think it is to teach entrepreneurship and design thinking to students? As Acara Institute, we have been doing this for over two years now and have faced several roadblocks. And when we looking at business plan competition organizers or early stage incubators, we wonder whether that’s what we should focus our efforts on. Should we drop our agenda of teaching students about concepts of sustainable development, business planning and team management! And instead, just invite entries for social business plans from universities around the world! Wouldn’t that be much easier, rather than continuing to work with faculty members and training them so that they can hep students? But isn’t education an important component of the value chain. Can we simple assume that students have enough information and self learning tools that they can start ventures, particularly those focuses on the bottom of the pyramid. Or maybe with limited resources at hand, it makes sense to just support mature ideas with successful proof-of-concept and forget about the education part!